The Piper PA-28 is a family of light aircraft designed for flight training, air taxi, and personal use. It is built by Piper Aircraft. All members of the PA-28 family are all-metal, unpressurized, single-engine, piston-powered airplanes with low-mounted wings and tricycle landing gear. They all have a single door on the copilot side, which is entered by stepping on the wing. 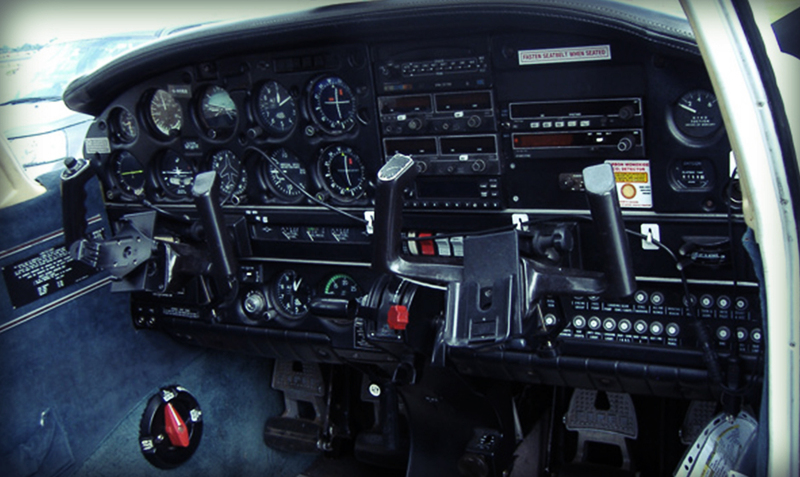 The first PA-28 received its type certificate from the Federal Aviation Administration in 1960, and the series remains in production to this day. 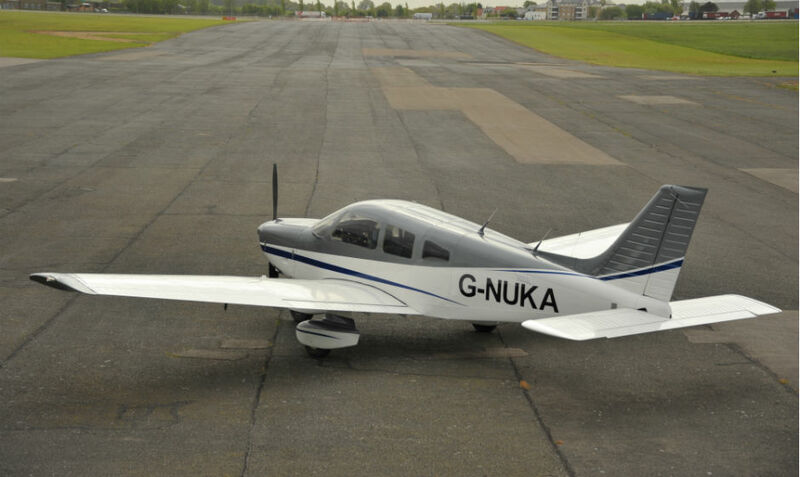 G-NUKA was brought into North Weald Flying Group to compliment the high Wing aircraft and offer the opportunity to fly something different to those pilots who preferred the low wing aircraft. G-NUKA has been very well received and has a strong following of fans. View G-NUKA in flight on approach to Gamston Airfield here and here . 1 x King 155 NAV/COM unit.